Former city manager Geoff Dolan. After more than a year of dodging allegations of Brown Act violations in the departure of former Manhattan Beach City Manager Geoff Dolan, the city has agreed to publicly apologize to residents and release associated documents so far kept sealed. A settlement agreement with watchdog group Californians Aware, which filed a lawsuit against the city in April, was reached in a closed session City Council meeting Tuesday night and finalized minutes prior to the council’s regularly scheduled meeting, according to legal counsel for both parties. Californians Aware filed the lawsuit after it claimed the city did not provide proper public notice for a December 2009 closed session council meeting at which Dolan’s departure was decided and Community Development Director Richard Thompson was appointed as his interim replacement. Hogin was brought in by the city in February to offer a second opinion about the case, in which City Attorney Robert Wadden has represented the city until recently. On March 4, the city hired Hogin, who has since worked with Californians Aware attorney Kelly Aviles to iron out an agreement specifying the city will release a statement publicly acknowledging violations. “After seeking outside legal advice from a law firm specializing in public law and consulting with…Californians Aware, the City Council realizes that the agenda descriptions for the closed sessions involving these matters were unintentionally inadequate to meet the requirements of the Brown Act,” said a statement released to city employees Wednesday afternoon. The Ralph M. Brown Act is a state law governing open meetings by public agencies. According to the settlement agreement, the city will pay the plaintiff’s attorney fees in the amount of $70,000 and, within 30 days, release an anonymous letter that allegedly led to a city investigation into Dolan’s work conduct prior to his departure. The agreement also requires the settlement to be filed with the courts and that the city conduct staff training within 90 days on the handling of public records and Brown Act training within 180 days for board members and commissioners. The settlement also requires that Californians Aware be involved in the training and that the training not be administered by Wadden. “This type of training is good practice for all cities and quite common,” Hogin said. The agreement also states that the city will reduce its charge for copying public records requested by members of the community from 40 cents to 10 cents a page. Californians Aware director Richard McKee had also claimed that the price of public records was exorbitant. Mayor Richard Montgomery and City Manager Dave Carmany deferred all questions to Hogin, who noted that while the city – relying on Wadden’s advice — sent out a notice of anticipated litigation for the December 2009 meeting, the Brown Act violation occurred because it did not also mention that the issue involved the personnel matter of Dolan’s departure. 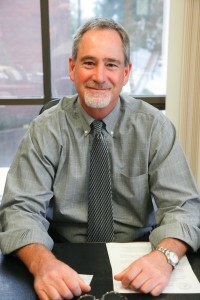 Since Dolan’s abrupt departure in December 2009 after 15 years with the city, some residents have questioned the legitimacy of his $195,000 severance package – to have been issued only in the event of his “involuntary separation” per his contract — while the council continually maintained that he resigned, the separation was mutual and that, per Wadden, the city could not comment further. McKee said he became concerned after noticing several “anticipated litigations” listed on closed session City Council agendas and minutes in the months leading up to Dolan’s departure. McKee said that the city continually denied his requests for public documents, such as Dolan’s separation agreement, which was eventually made public shortly before a January hearing. McKee also demanded the city make public an anonymous letter which, he alleges, led to a city investigation into Dolan’s work conduct prior to his departure. The settlement reached Tuesday had not been made public by press time, but Aviles and Hogin both confirmed its details. Hogin said after additional red-lining, the agreement needed to be signed by the mayor and another legal representative before the public notice goes out.